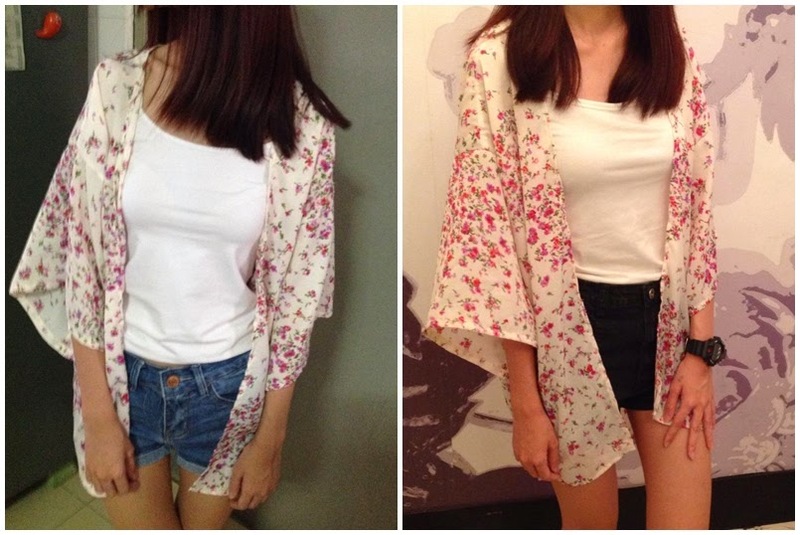 The Kimono, wear it with denim, black and white combinations and eh.. any other colors that you can think off. Dare you wear it with a black tight skirt to the office? Try to use light, thin and preferably transparent materials. 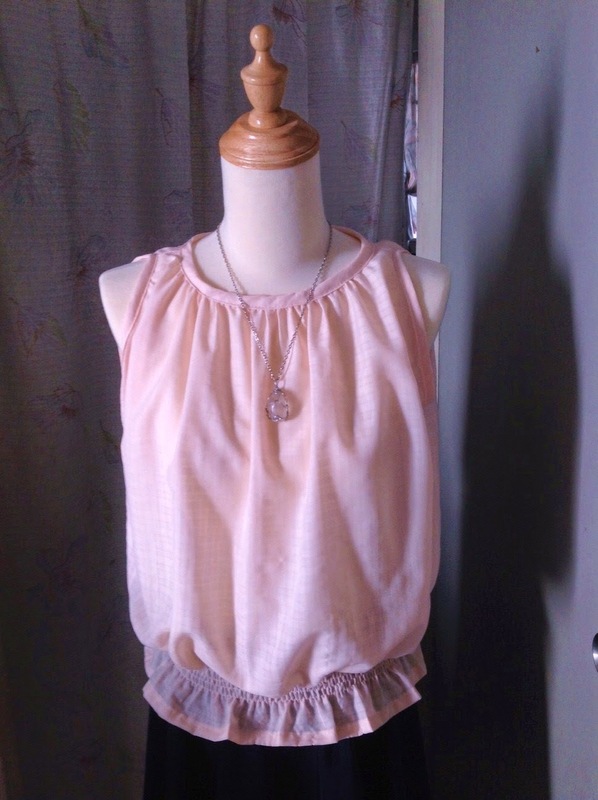 The material I used here is chiffon (cost: RM12.00 / meter). 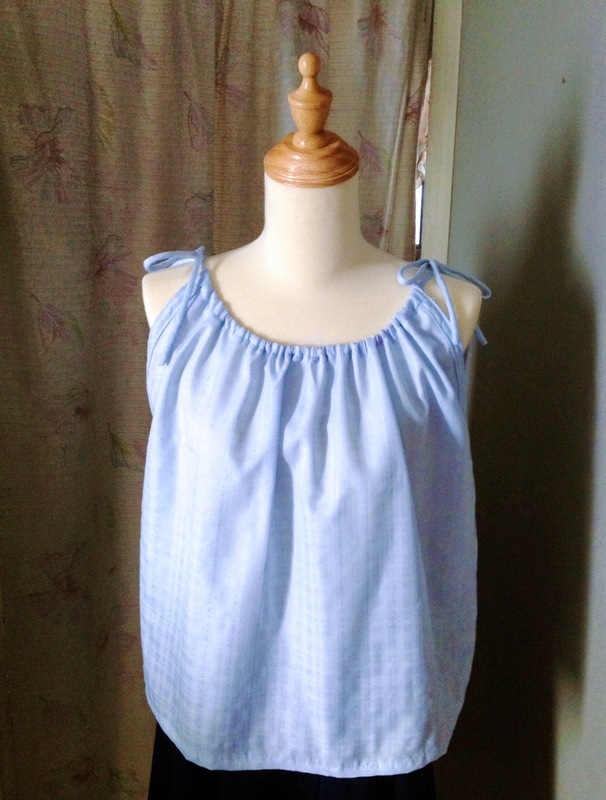 Never use satin or it will turn out like an overall for your nighties. 1) Measure your shoulder and divide it by 2, then plus 12 (for that off shoulder look). 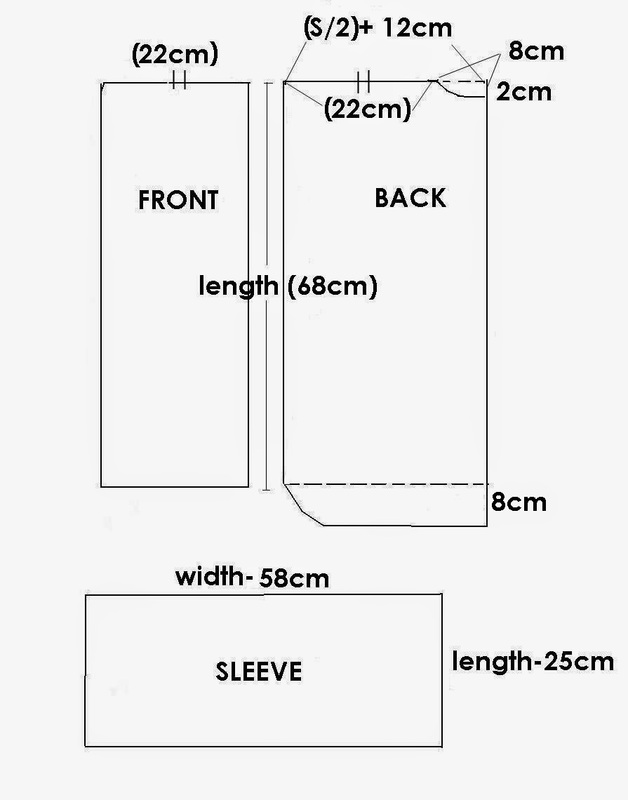 2) Measure the desired length, the extra 8 cm on the back is optional. If you have a fuller or rounded figure, you can leave both sides, from the bottom up about 14-18 cm unstitched. The length of the front and back pieces should be the same. Doing it this way, you will look slimmer as it will be able to conceal a rounded figure. 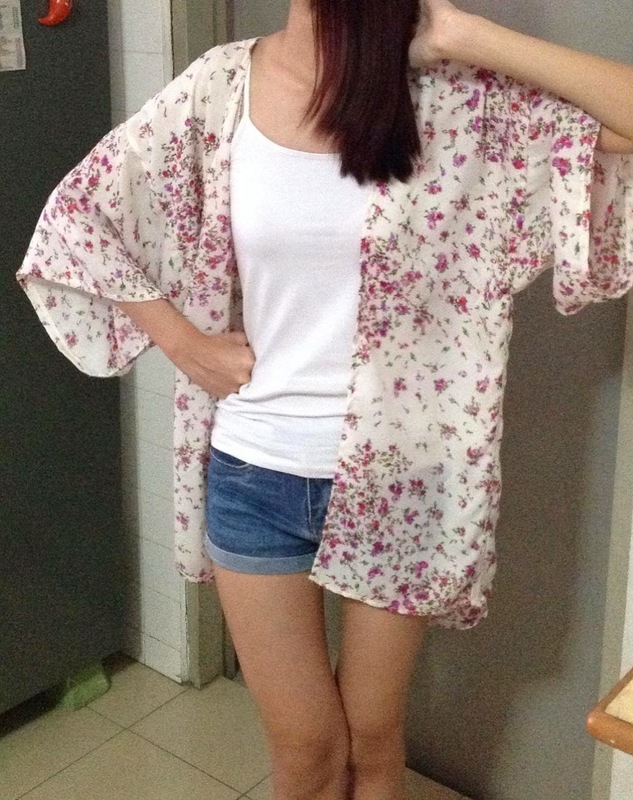 Material : Chiffon, 45 inches wide, 1 to 1 1/2 meter (depending on the length). 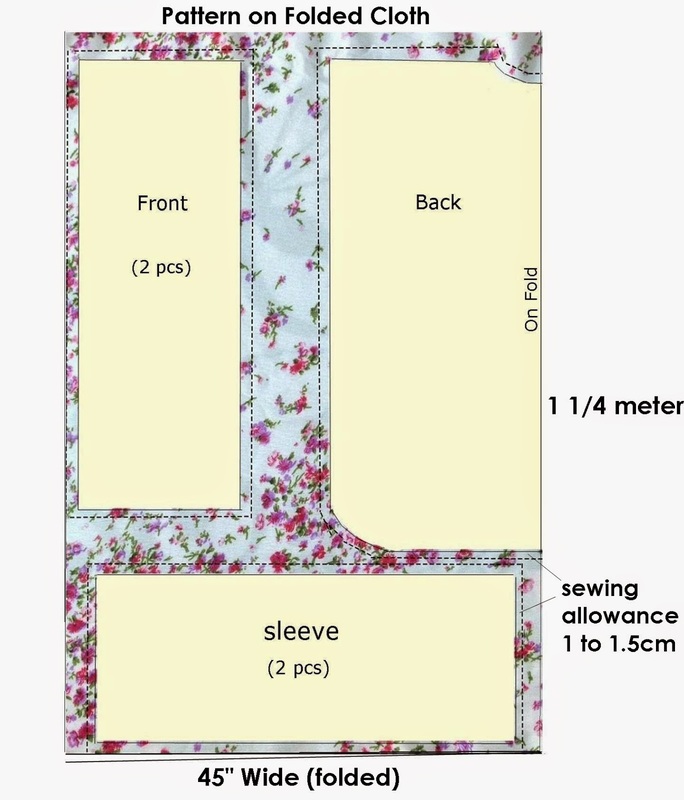 The Kimono, after cutting out the materials and placing it together before sewing, will look something like this. With the back piece a little longer, it will look like the picture on the left. Hope you like the pattern and enjoy trying it out.